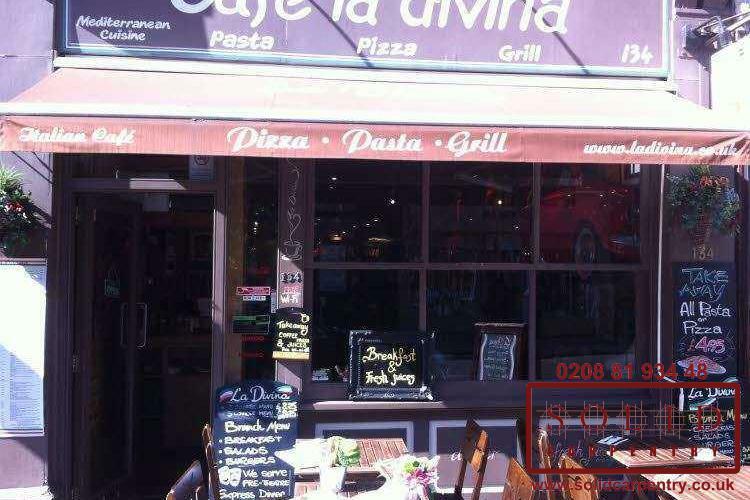 One of the best ways to attract new customers into your shop is with an appealing shop front. 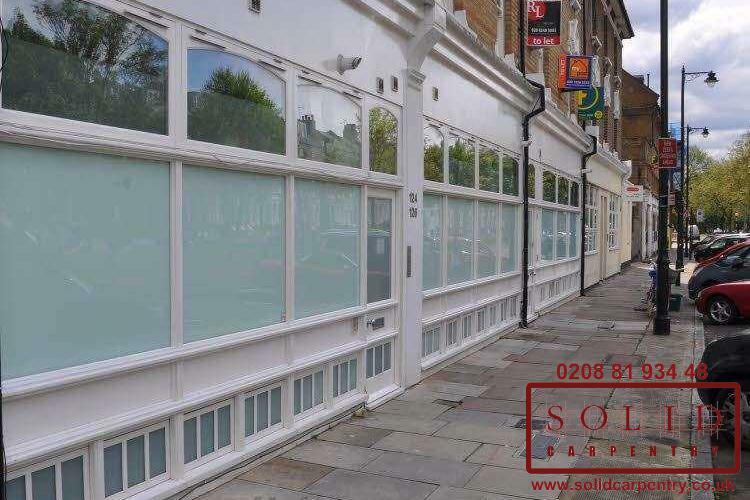 If you’re a business owner who relies on foot traffic to increase your sales, the importance of a tidy, inviting shop front cannot be underestimated. 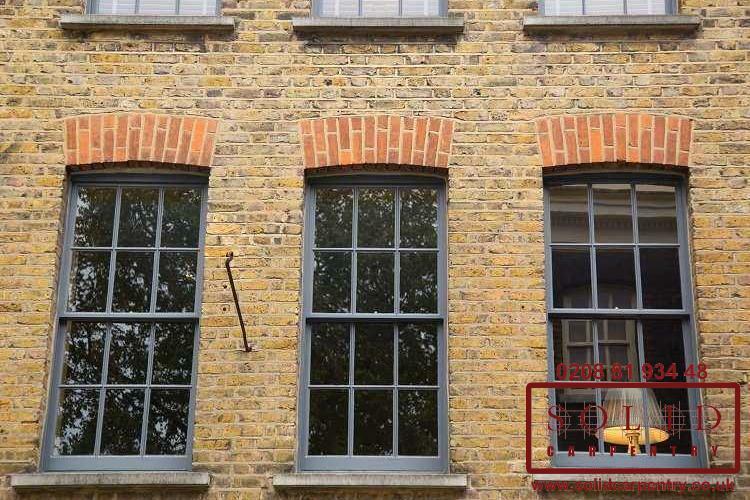 First impressions count and you can rest assured an eye-catching exterior will help entice new custom through the door. 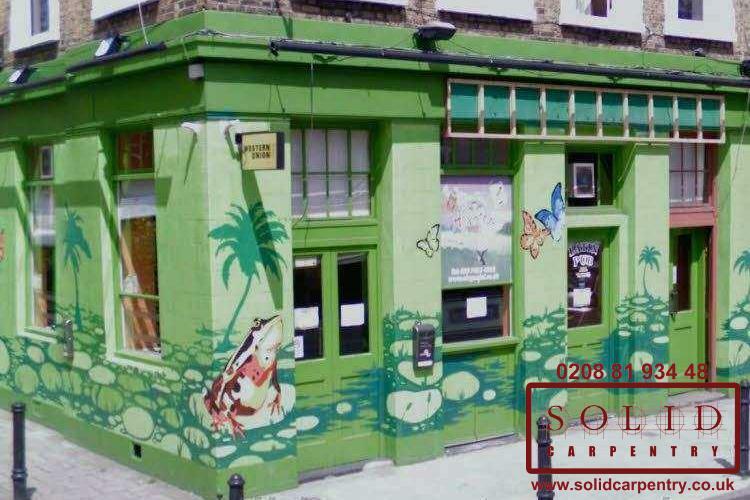 As seen in our portfolio pictures at the left, our skilled carpenters can transform a shop front and vastly improve the overall look and feel of your business. 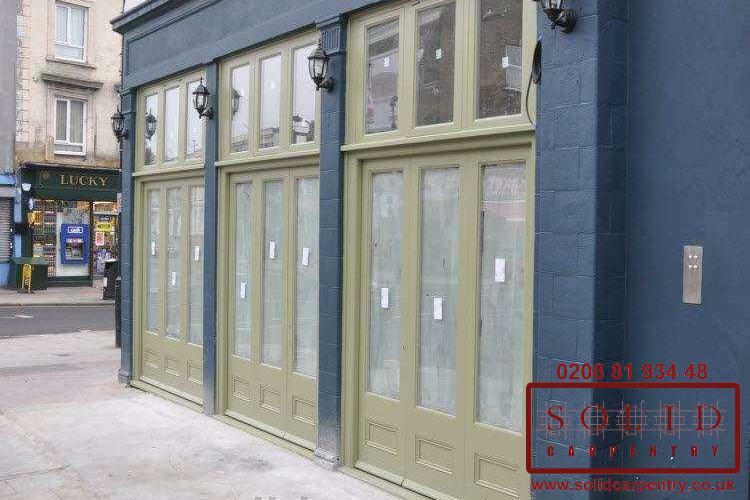 Using the finest materials, such as durable, high-quality hardwoods, painted or stained in varnish, the fronts and entrances of these businesses have been given a new lease of life. 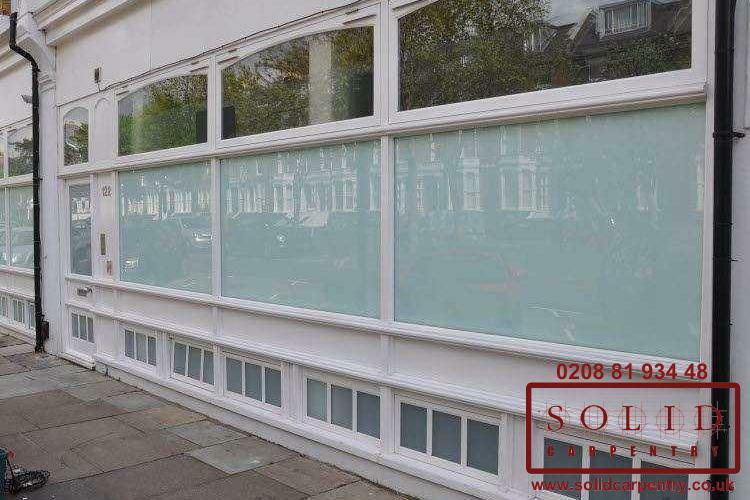 Depending on the look you wish to create, we can add laminate or glass panes to increase the amount of light illuminating the inside of your premises and showcasing your products or service. 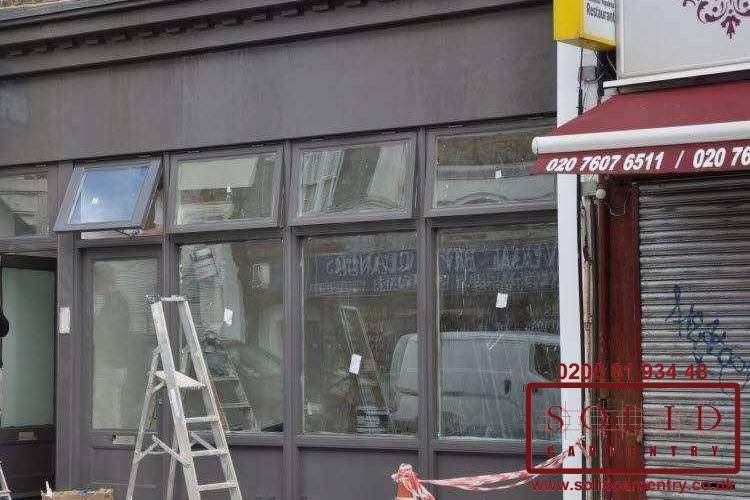 Because ours is a truly individual and bespoke service, you can rest assured your wooden shop fronts, in the same way as the business owners enjoyed above, will be transformed exactly as you envisioned. 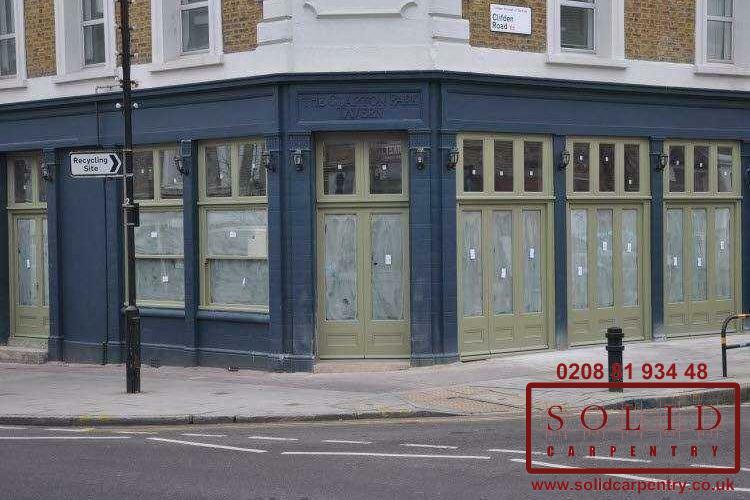 At Solid Carpentry, we specialise in designing and fitting all types of wooden shop fronts in the London area. 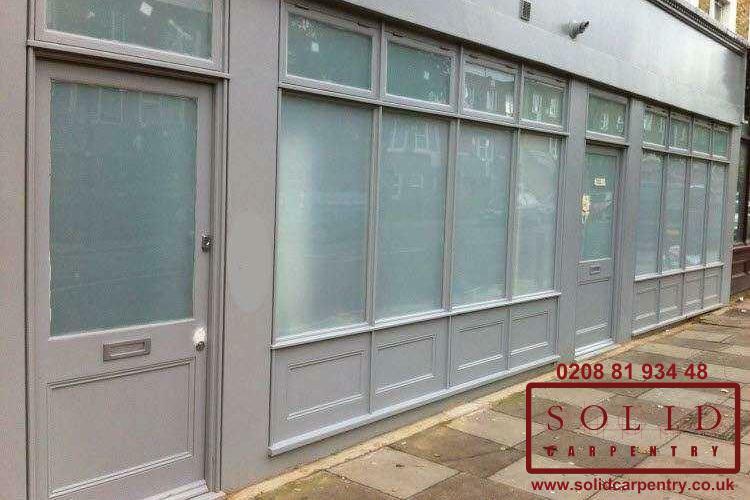 We understand that an attractive shop front is an important part of building your brand. 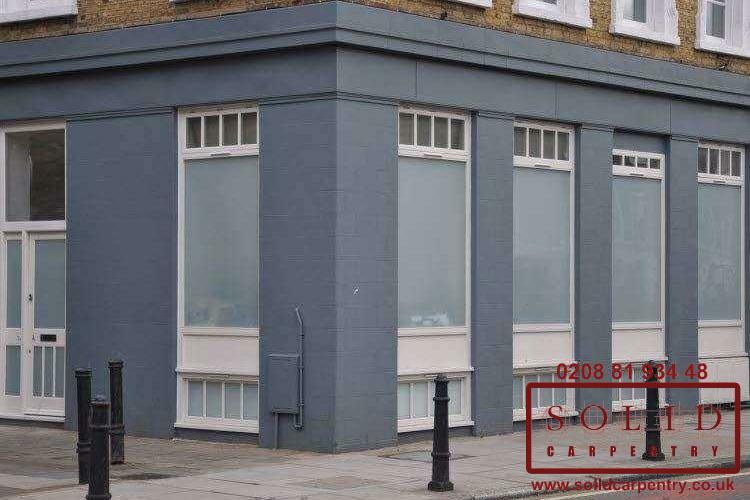 It’s for that reason we work with carpentry contractors experienced in all types of carpentry and joinery techniques to ensure we offer our customers appealing and functional shop fronts. 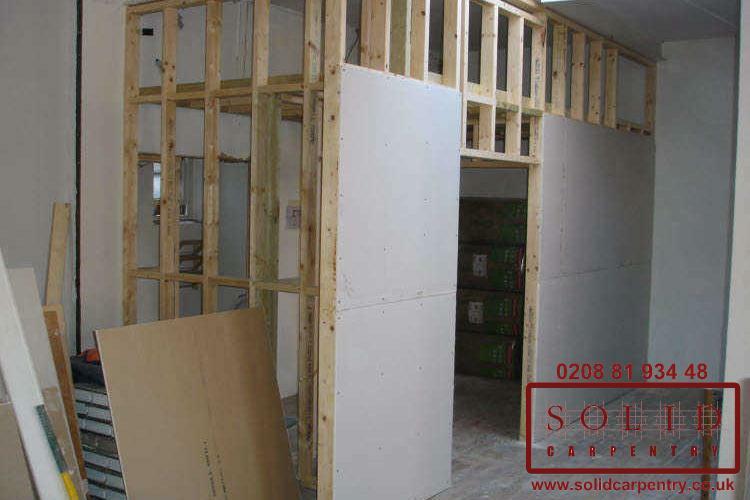 Our team of highly skilled professionals includes experienced joiners, carpenters, glaziers, painters, and designers – all specialists in their respective fields. 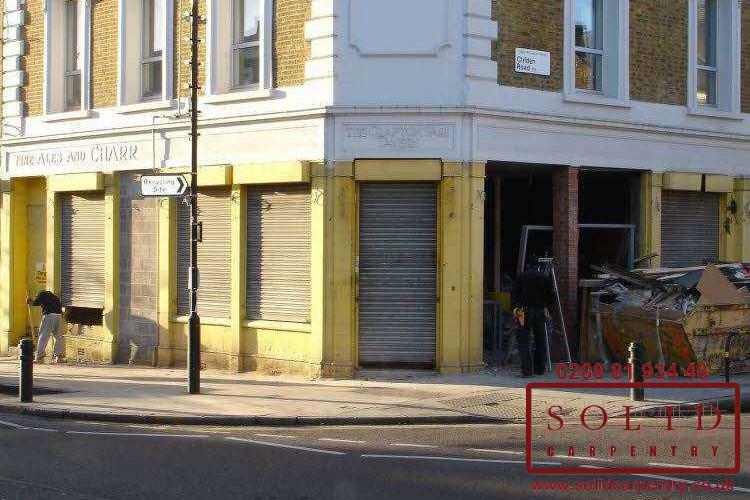 We can also repair or completely replace damaged shop fronts in London so that your business always looks tempting. 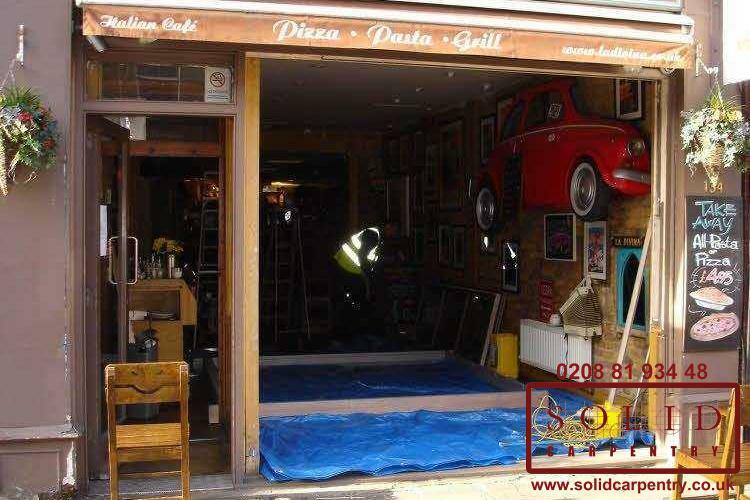 Find out more about our shop front creation service, or if you would like a free no-obligation quote for your wooden shop front, contact us today.